I was thrilled to be asked to write an article on Peter Womersley’s house for the late textile designer, Bernat Klein, at High Sunderland. This piece was commissioned by Panel for their Inventors of Tradition II exhibition at the Palace of Art, Bellahouston Park where the work of Atelier EB was on show. Of course it was impossible not to write about the Klein Studio in the same breath, and this was the first Womersley building I ever saw, whilst rounding the corner of a quite Borders B-road one damp spring twilight. 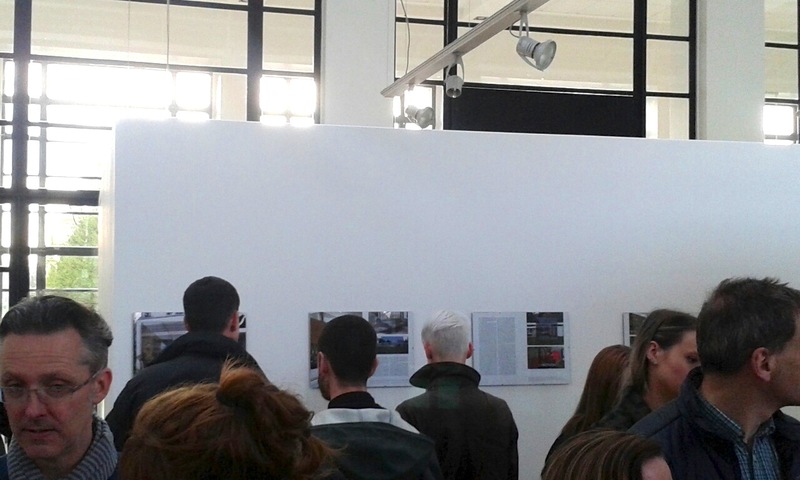 I loved it that people were actually reading my work, at an opening as well! It was fabulously illustrated with photomontages by Kim O’Neil, styled by Beca Lipscombe which did so much to set the scene.